America has been wounded by one of its own. We can't distance ourselves from the young man who murdered innocent victims who were out for a fun night on the town. We raised him, we educated him, we fed his body, his soul and his mind. We can't cast him aside and assign him to the the "catch all" category of Muslim. As if that is a justification. Most crimes in the United States are committed by Christians. 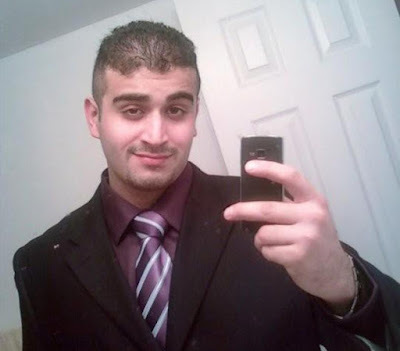 Omar Mateen is American. He's one of our own. How did we raise a child that was capable of such hate? How did we, who are responsible for ensuring the safety of, and loving our fellow man, produce a young man with so much vitriol and contempt, and the angst that allowed him to plan and carry out a scheme that would cause Americas soul to ache? Where did we go wrong? How do we make sure that the rest of our kids learn from this and don't make the same choices? 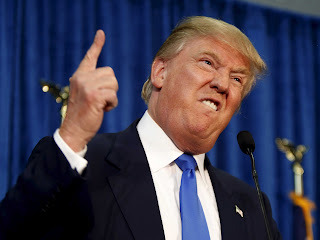 This time last year I have to admit, I didn't see Donald Trump as serious presidential candidate. I saw him as someone whose role was simply to force the Republican Party to look at issues that he and his team deemed as important. I never expected his bid for the White House to last more than two or three months. I thought he'd be out of the race before Rick Perry from Texas. Boy, was I wrong. I am African American and a proud Texan. I have a multi-cultural, multi-racial, melting-pot, "portrait of America" family. My family is African American, Mexican American, European American, Chinese American, Colombian American, Nigerian American, Middle Eastern, Muslim, Roman Catholic, Southern Baptist, Church of God in Christ, Methodist, Veterans, Disabled Veterans, formerly captured Veterans, gay, straight, women, men, women in their child-bearing years, academicians, political activists, artists, musicians, actors, doctors, business owners, CPAs, teachers, school principals, professors, therapists, postal workers, salespersons, law enforcement, supervisors, real estate agents, nurses, finance managers, hourly workers, volunteers, retirees, coaches, pastors, authors, college students, law school students, mothers, fathers, sisters and brothers. I can not support or stand with someone who offends or threatens the safety and stability of my family. I will not be Trumped.